You are here: Home / Features / What Is a Bunkie Board? At Platform Beds Online, we sometimes get questions from customers asking us “What is a bunkie board?” Bunkie Board is not very common, but it IS very useful to platform bed owners. Ever looked at a bed and thought to yourself: “my mattress requires a flat surface with no gaps, but this platform bed has slats with space in between – what am I going to do?” That’s where bunkie boards come in. In this blog post, we want to help you understand what bunkie boards are and how they’re used. A bunkie board is essentially a flat wooden board the size of a person’s mattress and placed directly underneath it. They come in different sizes and thickness, typically one to three inches, depending on individual needs. Some people need boards a couple inches higher, or a couple inches lower. This is mainly for getting the desired stiffness. Another reason is so that it lays flush against the horizontal sides of the bed frame. 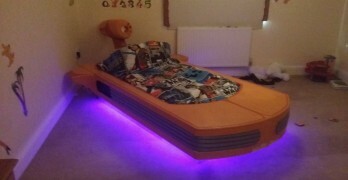 This way the mattress has a perfectly flat surface, giving it that distinctive floating look of a platform bed, as seen in the picture below. What is a Bunkie Board Used For? Bunkie boards are meant to replace the box spring, so they are very useful for platform bed owners with mattresses that require one. They help maintain the low profile look and protect the mattress at the same time. Some mattresses can’t sit on slats and require a flat solid surface. Bunkie boards are also useful for bunk beds where vertical space is limited. Can I Use a Bunkie Board for a Memory Foam Mattress? Yes. Since memory foam mattresses are heavier, they require a sturdy foundation to support the additional weight. Thicker two to three inch bunkie boards are useful. 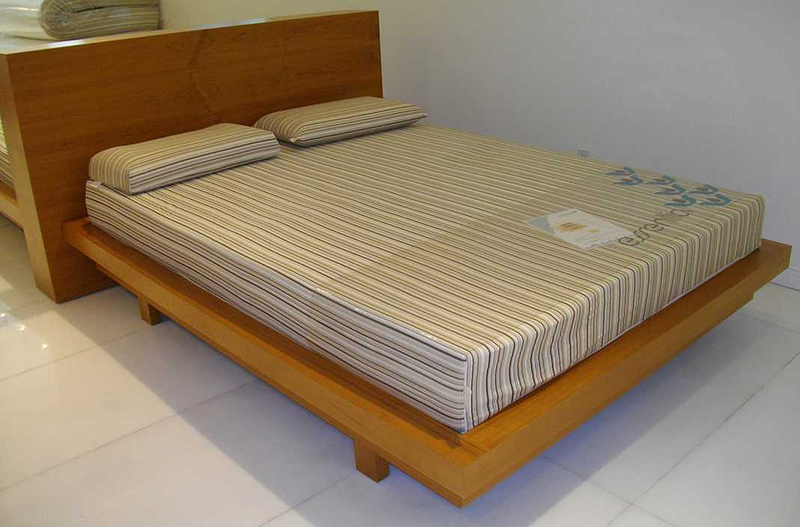 A bed frame with slats might also work as long as the spacing is tight and the slats are wide and not thin. To keep the weight evenly distributed throughout, a fifth leg in the middle is a good feature to support larger king and queen size memory foam mattresses. “MemoryFoam-fast” by Johan – Own work. Licensed under CC BY-SA 3.0 via Commons. Where can I find a Bunkie Board? You can find them at most bedroom furniture dealers, whether in person or online. Searching for them online can provide you with a wider variety of options and prices. If you do go searching for one in person, be sure to call ahead to be sure they have the right size. Also, be sure you have a method for transporting since it can be quite large depending on your mattress. 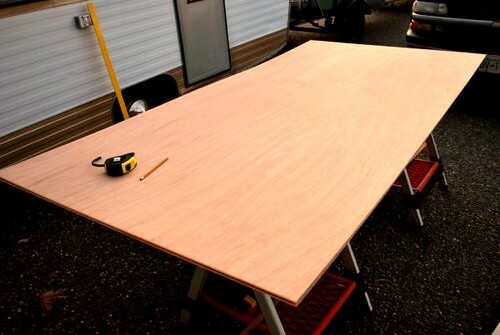 Can I DIY a Bunkie Board With Plywood? YES! A piece of plywood cut and purchased at the local home supply store is just as effective. If you have the tools at home, you may be able to just make one yourself. This will save you money over purchasing a bunkie board in a store or online. Just be sure to make precise measurements and you get the proper thickness. Also, safety first!